Mike, prayers for you and your family. You all are on my mind and I’m my heart. Love! So very sorry for your loss. May God comfort all of you at this difficult time. I am so sorry for your loss. Aunt Cindy was a very ki d and good person. So sorry for your loss Mike, sending love and Prayers. Mike, We are so sad to hear about Cindy. We will be praying for you and your family. May the Lord comfort your broken hearts. I can’t begin to express how sorry I feel for your loss. Gary and I want you to know we are praying that God wraps you and your family in His arms and comforts you in this time. We love you all. We are so sorry. She was a great lady. Please know we are praying for her family. Mike, I am so very sorry to hear about Cindy. I understand how much it hurts. I will be praying for you in the days, weeks, and months ahead. Oh Mike, I am so sorry. I’m in shock and struck by all the sweet memories of how Cindy welcomed the women of the church into your lovely home…and was such a wonderful hostess. I miss her talking about listening to the radio and driving to school with a lead foot and her disdain for traffic. Most of all I will always think of her great love for you Mike and how excited she was to be retired and getting to spend more time with you. Hugs and so much love in this time. Mike, Crystal, and Michael, I am so sorry for your loss. Cindy was a lovely lady and a dear friend. I loved her. It was fun to share grandchildren with her. I have been praying for you and willl continue. We love you! Mike, your family will be in my thoughts and prayers. Peace be with you in the coming days. Mike and family, in understanding your pain, I know you all are on autopilot at this point. Things do not feel real, words you should have said filter through your mind, precious memories surface at every turn as well as the loss of Cindy’s presence. She was a dynamic force, a loving mother, grandmother and cherished wife. She has left a positive influence on many a student and her legacy will continue through them. Much love to you all as God leads you through this difficult time. Mike and family, we are truly saddened to hear of your loss. We remember your family fondly from our years in Germany as you led our Nazarene congregation there. Your son, Mike, was also in the kindergarten class taught by Anne Latham and myself. 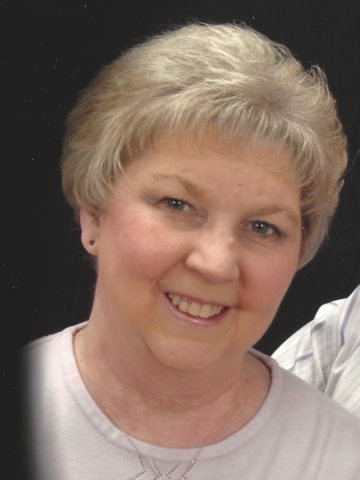 Cindy was a sweet, compassionate lady who always shared her positive attitude with others. May God grant you peace and comfort during this time of bereavement. Mike and family, so sorry for the loss of your wife, mother and grandmother…May God wrap his loving arms around you and give you peace and comfort in the days and weeks to come. Brother Mike, Nancy and I are very sad that Cindy will not be here with you and the children but we are very happy to hear that Cindy is with our Lord and Savior Jesus Christ. She has fought the good fight and won the race. Our prayers are with you and the family. If there is anything you ever need, just let us know. We are there in spirit with you. Take care. Mike, I am so sorry for your lose. Me and Becky will be praying for you and your family. Praying for peace, comfort, and understanding at this time. I know Cindy will be greatly missed by all that knew her. She was so helpful to me at HMS during our transition to a middle school. She listened and helped me when I went through a few tough times without judgement. I am so thankful that God put her in my life when he did. Having known Cindy since we both came to TNC back in 1970, I always admired her devotion to Christ and His church. She was indeed the living incarnation of our holiness message. Mike, be assured of our prayers for your family. Mike, so sorry for your loss. My thoughts and prayers are with you and your family. My deepest condolences to Mike and the entire family. May God bless you with the peace that she is now with the Father. My prayers and thoughts are with you. I remember Mrs. Dodrill from my time in TN. She was very nice. Praying for all of the family! Mike and family, I am so sorry for your loss. Your family will be in my prayers for comfort and peace. All the way from Pittsburgh, PA. we send our deepest sympathy and condolences to you and your family. May good memories be a source of comfort and may God bless all of you with eternal peace. Mike & family, we are so sad to hear of Cindy’s passing, but we can take comfort in knowing she is with our Lord! We will keep you in our prayers! Mike, James and I are so sorry for your loss. We loved Cindy. Praying for comfort for you an the family. Mike,my heart aches for you and the family.you and Cindy had such a beautiful life together.you are in my prayers. Mike my Condolence to you and your family in the loss of your wife. Prayers that God give you strength an peace during this difficult time. Dear Mike, my sympathy on the loss of Cindy, your beloved companion in life and in ministry, may God bless and keep you in His care as you continue in ministry. I miss our devotions and time together in hospice care. May you find peace and encouragement in the precious memories of your life together. Cindy was a beautiful lady inside and out. A heart of gold. Mike I am so sorry. My prayers are with you and your family. I am sorry for your loss. Cindy was used mightily on earth for Christ’s sake. She has received her reward and no longer will suffer. God bless you. Mike, I am so sorry to hear of Cindy’s passing! I’m praying that all those helpful, thoughtful words you shared with me and others can now be channeled back to you. Nothing can take the pain away, as you know, you have to go through it. Just know there are so many of us out here that are hurting for you, just knowing what you are going through. God bless you. Call me anytime if you just need to talk. Mike, We are so sorry for your loss. Cindy had a beautiful soul that radiated on the outside. We are praying for you and your family to be at peace knowing that she is now with her heavenly father.